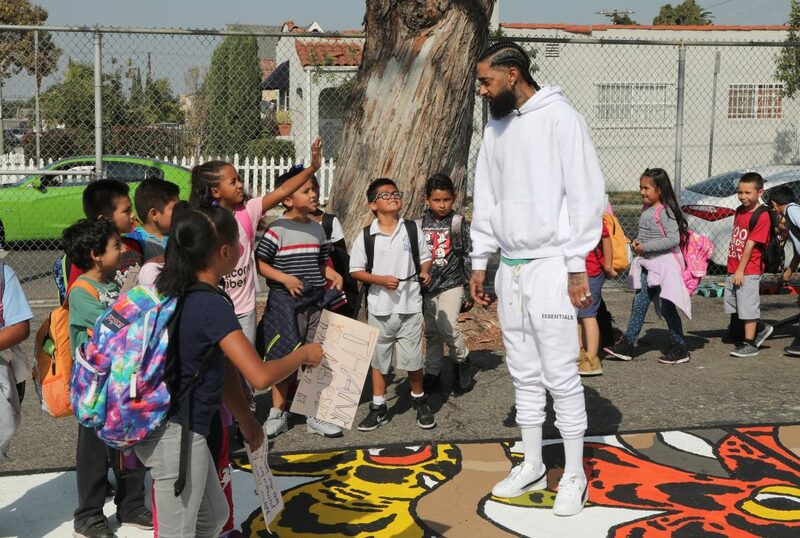 PUMA Ambassador and rapper Nipsey Hussle partnered to refurbished the basketball court at an elementary school in south Los Angeles near where Nipsey grew up. 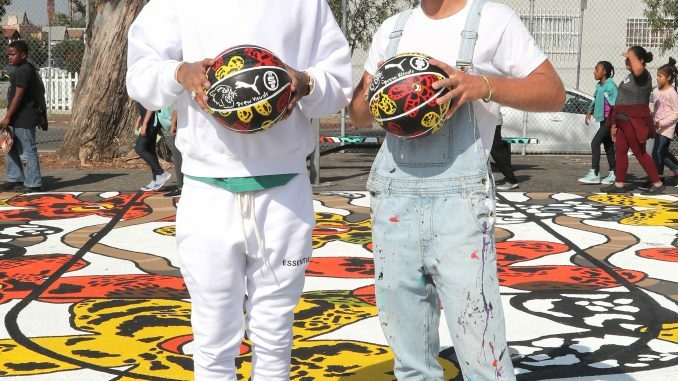 The refurbished court, inspired by the Clyde Court Disrupt and designed by contemporary artist Drew Visuals, was revealed on Monday (October 22) to a group of nearly 200 students. 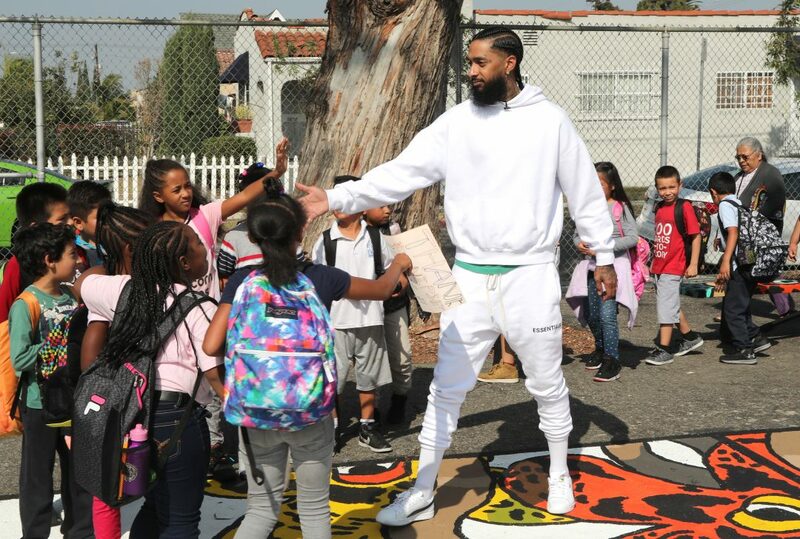 Nipsey Hussle spoke to students ahead of the unveiling and then played with them on the court. 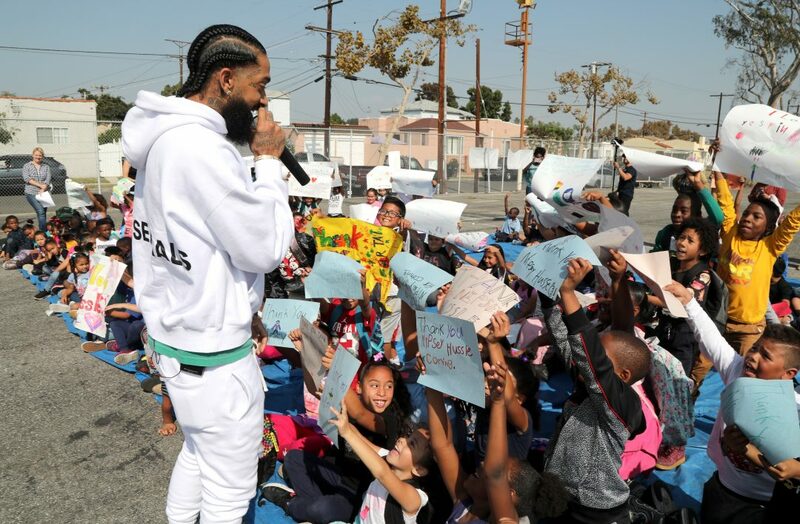 He also presented a $10,000 check to the school, on behalf of PUMA. 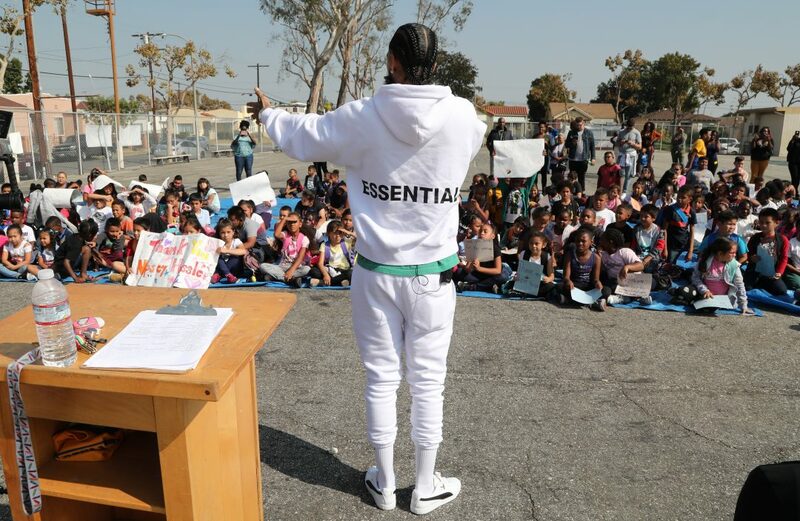 The students also enjoyed a pizza party and each received a PUMA backpack and t-shirt. 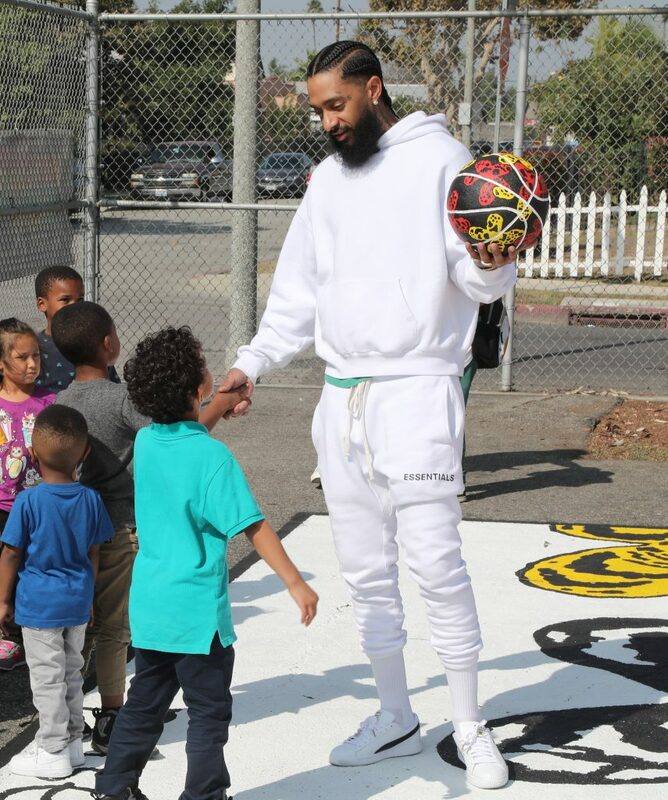 This was part of a series of events around the country by PUMA Basketball to celebrate their October 11 launch of the Clyde Court Disrupt, the brand’s first basketball shoe in nearly two decades. See photos from the event below.